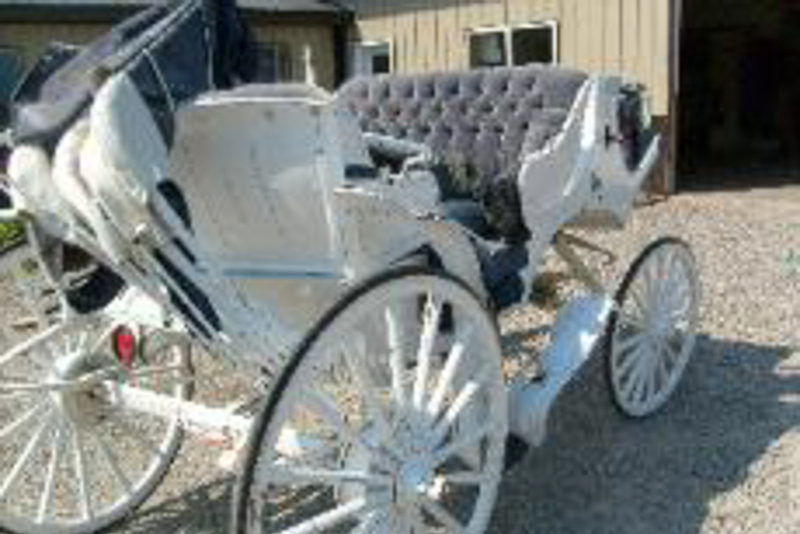 We specialize in restoring carriages, carts, buggies and wagons. 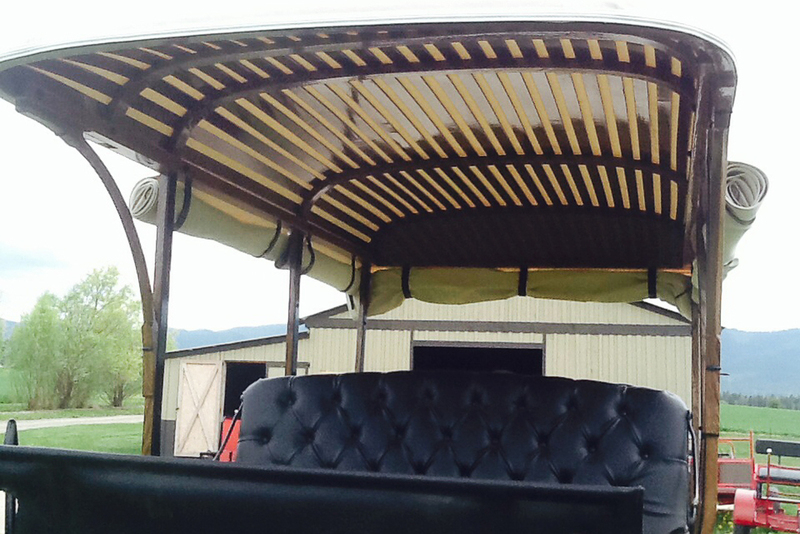 In addition to restoring the frame and body, Pioneer Coach can also provide custom upholstery and wheelwright services. Peruse the galleries below and enjoy the before and after photos of some of our projects. 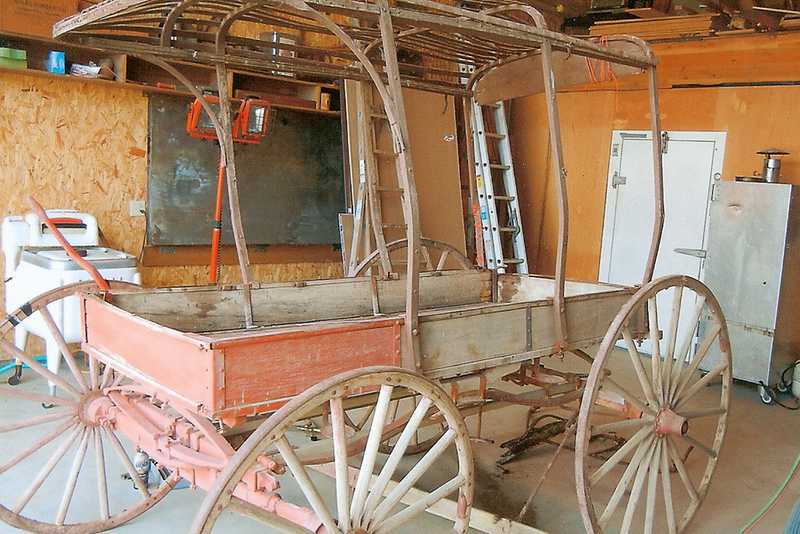 We are working on various projects right now, so check back for updates on the latest Pioneer Coach undertaking. A buggy repair job, completed July 2016. 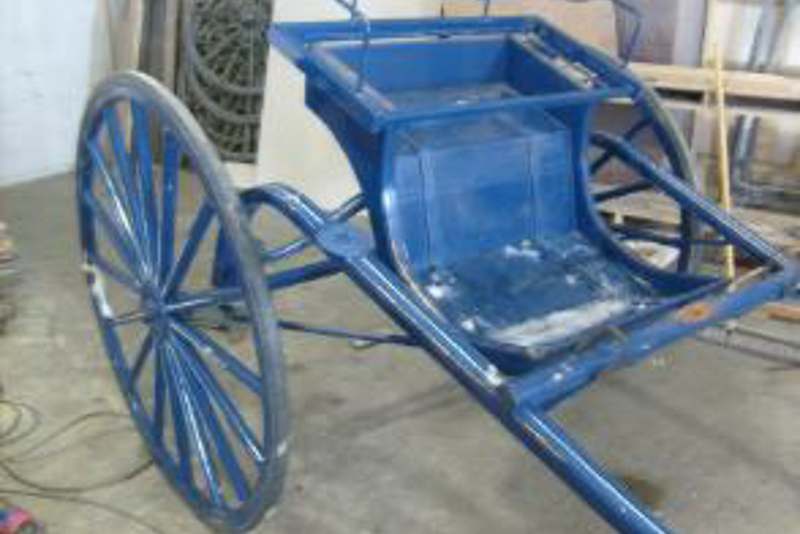 Monroe restored completely restored this buggy in September, 2015. 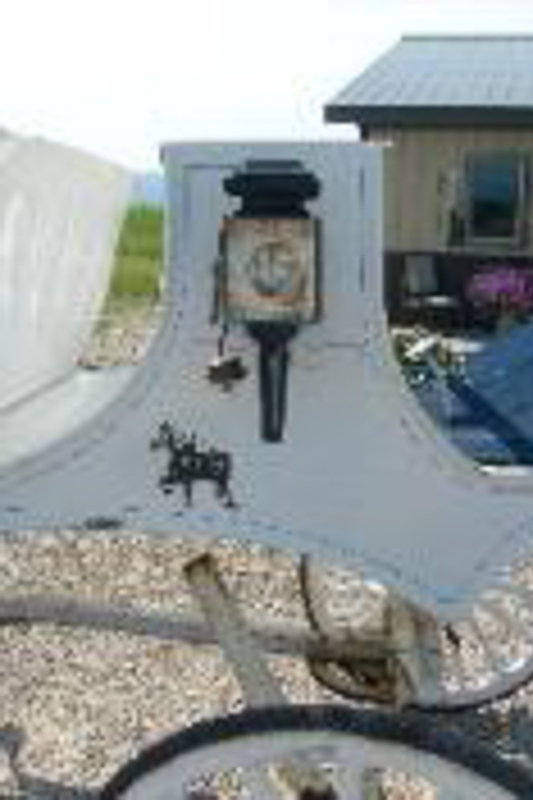 Here is a sleigh that Monroe completely restored August of 2015. 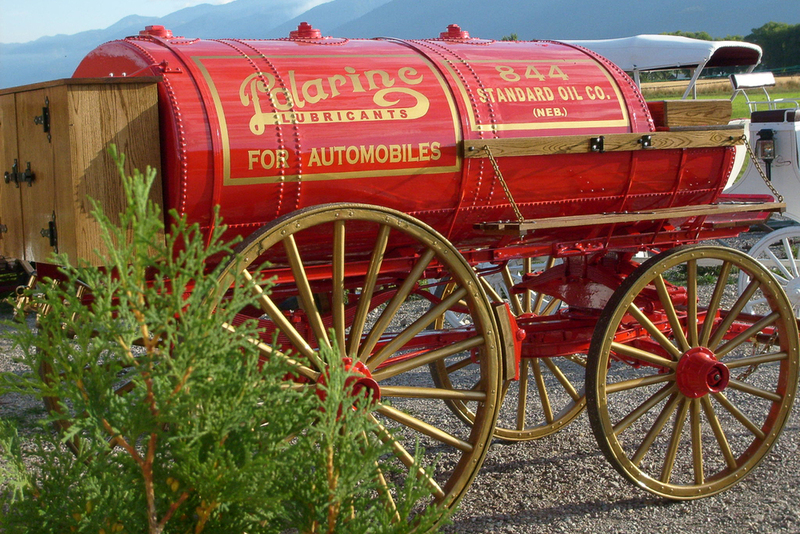 Thank you, Mr. Bodenhammer, for giving us the opportunity to completely restore your White Top Mountain Wagon. Before and after restoration of this beautiful "Vis a Vie" Carriage, meaning "Face to Face" in French. Passengers ride face to face in the two oposing seats while the driver rides on the seat up front. We don't have a "before" restoration picture of this nice cart since it came to us in several boxes of parts and pieces. It is now fully restored to its original condition. 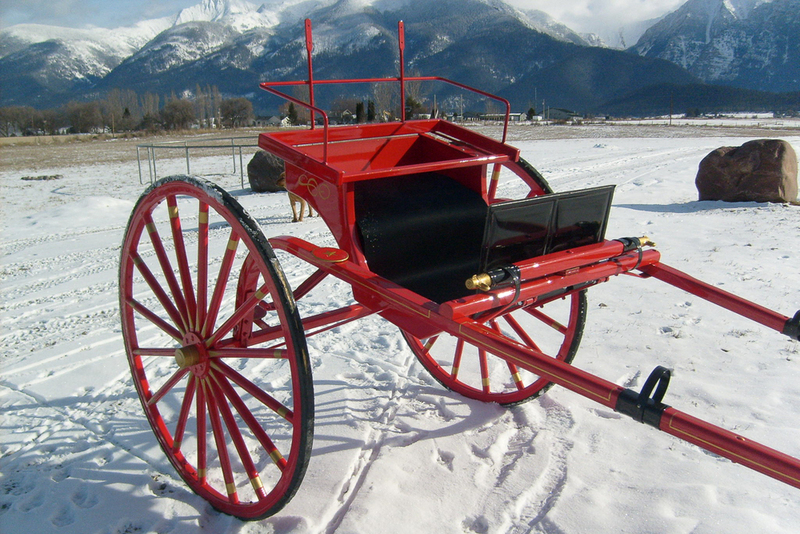 The frame, wheels, and running gear of this cart have been restored to their original integrity and beautiful condition. 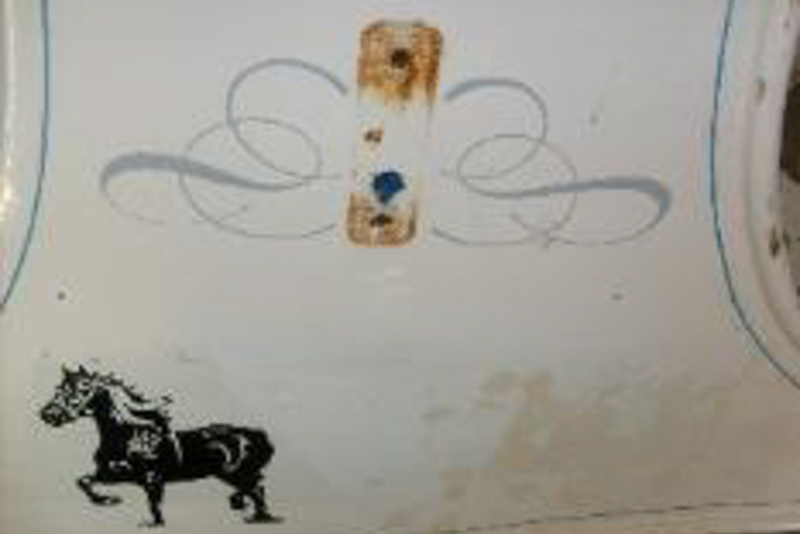 In the 1890's, the tank wagons were usually pulled by one, two, and even three horses depending on the size of the tank and weight of the load. 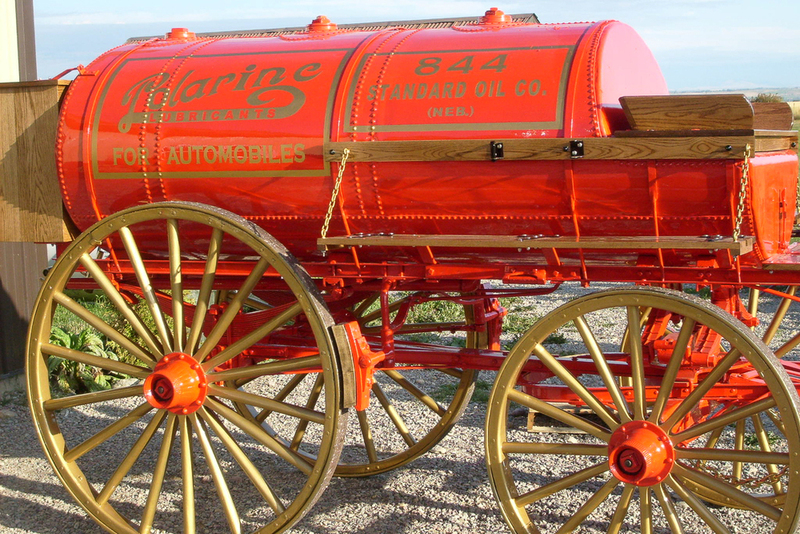 Capacity of the tanks varied from 300 to 550 gallons for the one and two horse wagons and 900 gallons for the three horse tank wagon (Hidy and Hidy, 1955). 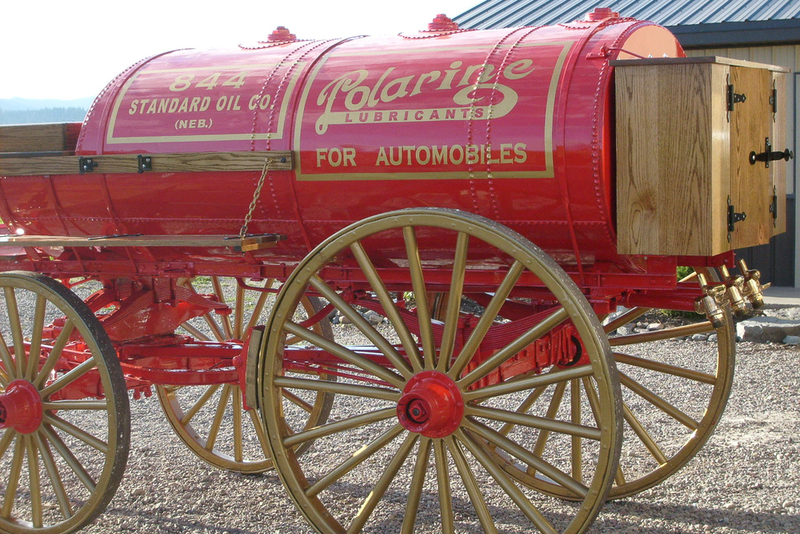 Hidy and Hidy (1955) mention that a Standard Oil (New Jersey) station serving Baltimore in 1892, had, "four tank wagons, three for kerosene and one for gasoline"; plus extra horses for relays.